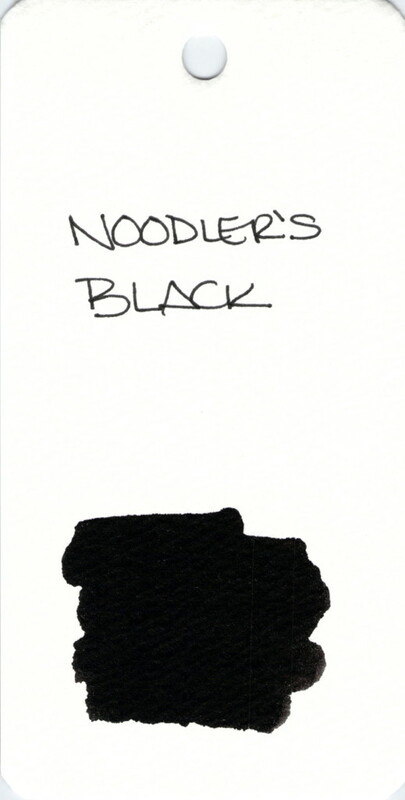 Noodler’s Black is a good strong black that behaves well in most every pen. In fact, Noodler’s Black is my standard black ink. This entry was posted in INKS, LOVE and tagged black, ink swab, noodler's by Christine (Pentulant). Bookmark the permalink.